A much-anticipated facelift of the Eiffel Tower will be unveiled Monday with a new glass floor to dizzy the millions of tourists who flock to Paris’s best-known landmark every year. Its owners hope the formerly dowdy and draughty first floor will become as big an attraction as the viewing platform on top of the 325-metre (1,070-foot) tower — the most visited paying monument in the world. Visitors will be able to look down through a solid glass floor to the 57 square metres below, with transparent and eco-friendly pavilions built around the tower’s enormous central void. To heighten the frisson of walking on air still further, the glass safety barriers around the edge have been inclined outwards. 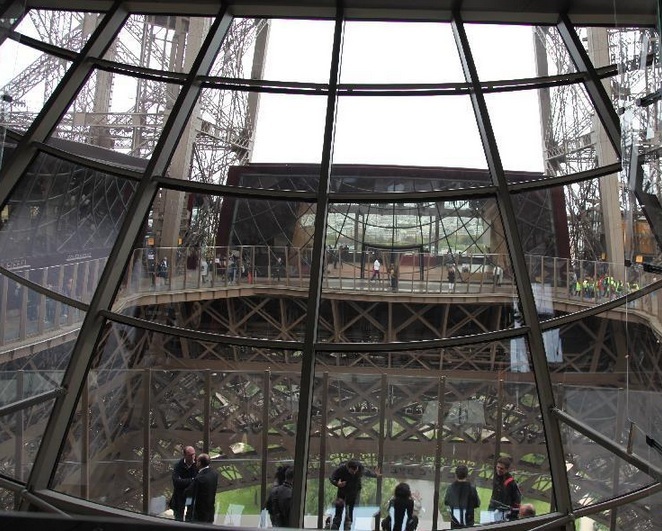 Previously the first floor was the least visited part of the tower, but its operators hope tourists will now linger at the end of their visit behind sheltering floor-to-ceiling windows that overlook Paris. The 30-million euro ($37.5-million) refit, which took two years, includes shops, restaurants and a museum where the history of the 125-year-old tower will be told on seven screens. 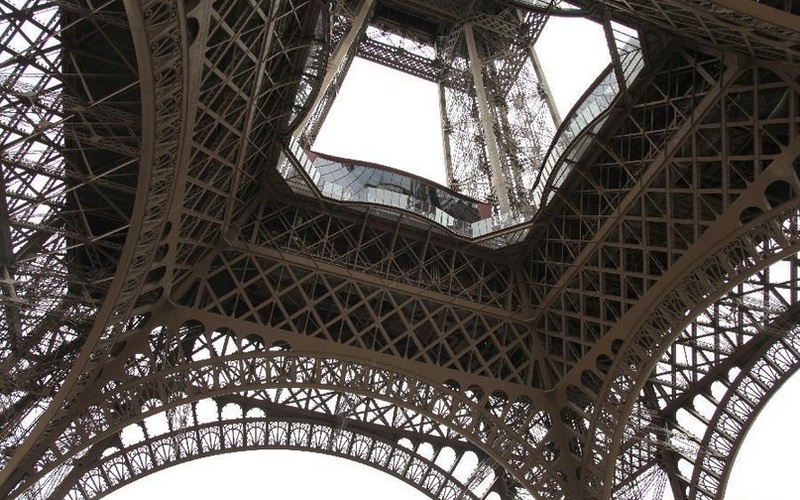 The city of Paris, which holds a majority stake in the monument, charged architects Moatti-Riviere with creating a space that would show off Gustave Eiffel’s impressive original ironwork and make it fully accessible for disabled visitors. The new buildings will also produce part of their own energy using windmills and solar panels, and the toilets will be run partly on rainwater. “We wanted to set an example,” said Jean-Bernard Bros, the president of SETE, the operator of the tower, which had a turnover of 73 million euros ($91 million) in 2013. The “Iron Lady” attracts around seven million visitors a year, of which 85 percent are foreign tourists. Most visitors, however, come from France (12.5 percent) followed by Americans (8.5 percent), Britons (7.1 percent), Italians (6.7 percent) and Germans (5.7 percent). The renovation of the first floor may be now complete but work on the enormous structure built for the World’s Fair of 1889 never ends. The tower has to be repainted every seven years, a job that requires 60 tons of paint.